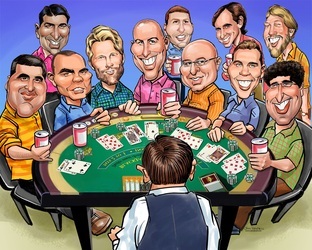 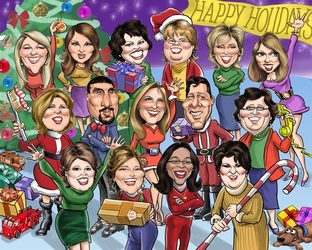 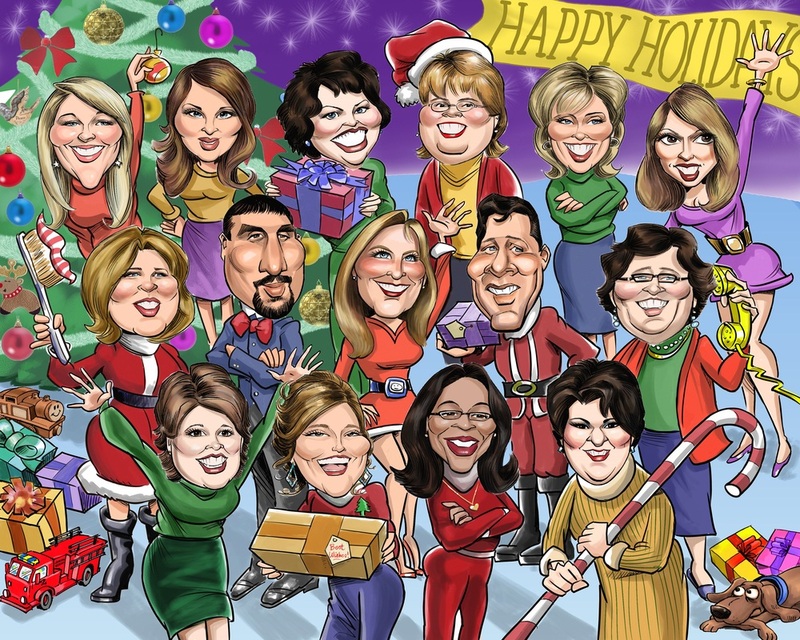 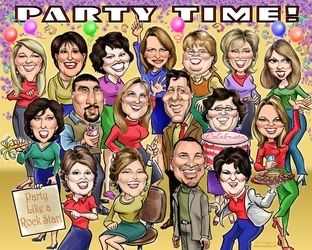 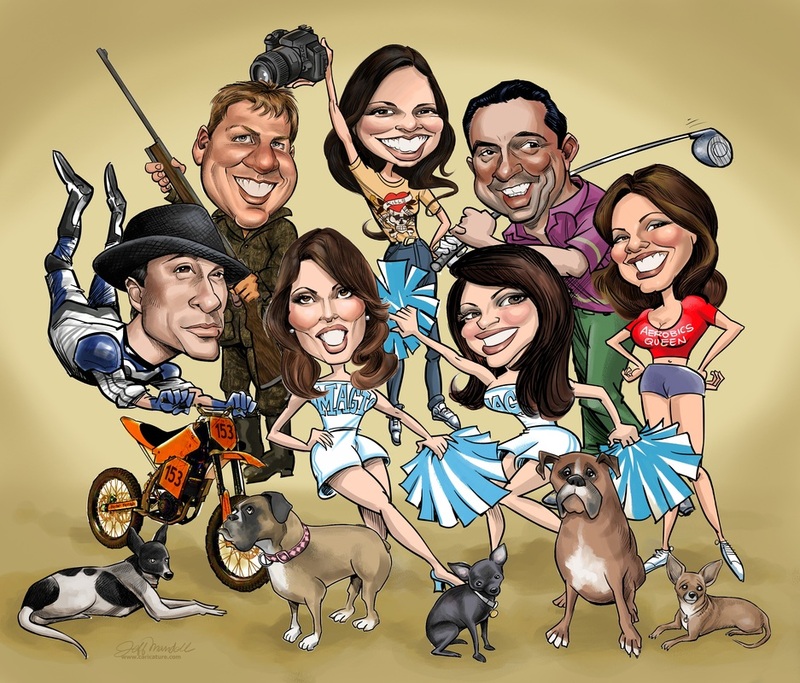 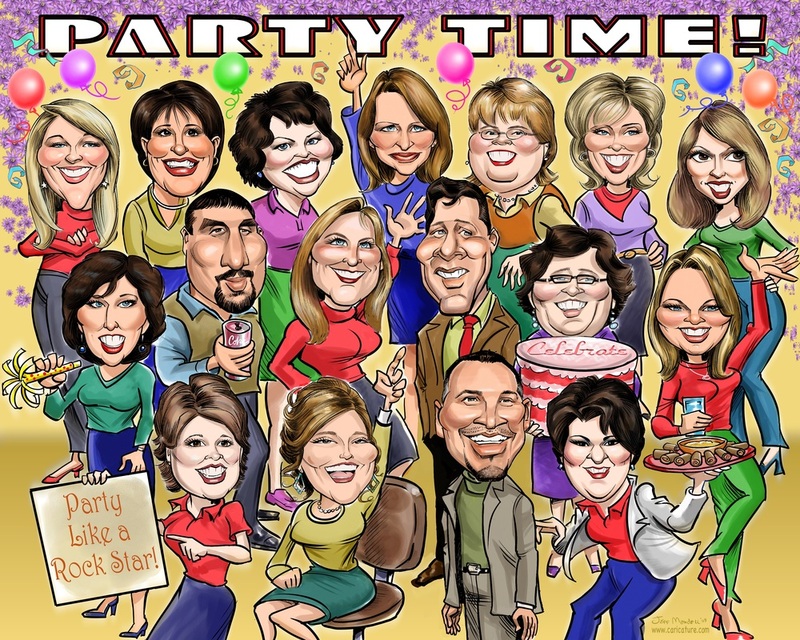 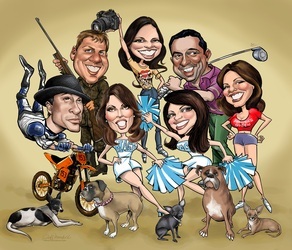 We provide group caricatures for all occasions, groomsmen, retirement, family, holiday cards, teams, etc.. Price is calculated per face and ranges from $50 up to $150 per face. 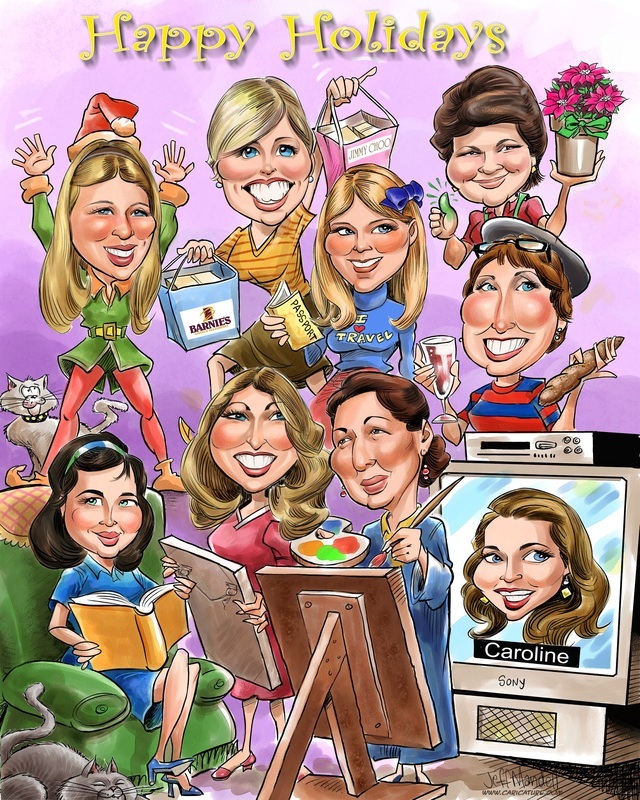 Price can be affected by items such as: complexity of art, time of year order is placed or date art is due. 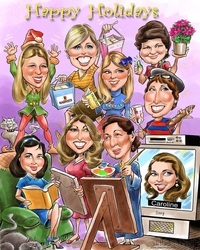 All art is completed by Jeffrey Mandell, President of Caricature.com Inc. and is of a highly detailed nature. 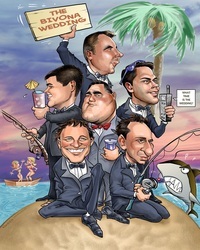 Any theme can be used or imagined but complexity usually results in pricier art.